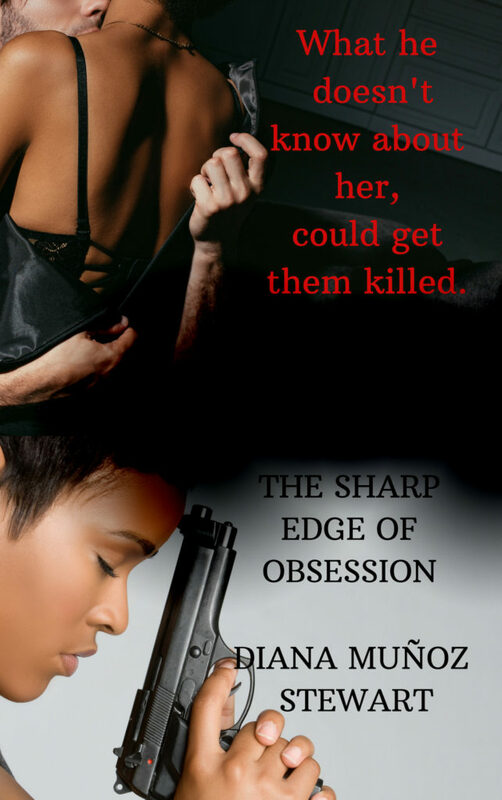 To celebrate Valentine’s Day, and the pending release of THE SHARP EDGE OF OBSESSION–my Black Ops Confidential novella–I’m giving away four romantic suspense novels. The books are some of my favorites, including Lori Foster’s UNDER PRESSURE, Katie Ruggle’s RUN TO GROUND, Melinda Leigh’s MINUTES TO KILL, and the first book in my series, I AM JUSTICE (Read a free excerpt.) But that’s not all! In addition to the books, there’s fun swag, a handy-dandy tote bag, and some sweet, sweet chocolates. You can enter to win all of this by signing up for my newsletter. The newsletter will occasionally mention book stuff, but mostly it’s filled with feel good stories about women doing courageous and philanthropic and awesome things around the world. The very first issue is due out at the end of Valentine’s Day week. I’ll pick the winner of the prize pack on Valentine’s Day and announce the lucky person in the first newsletter. Enter to win the Romantic Suspense Valentine’s Giveaway by signing up for my newsletter HERE! Want to know more about my novella? Read on. 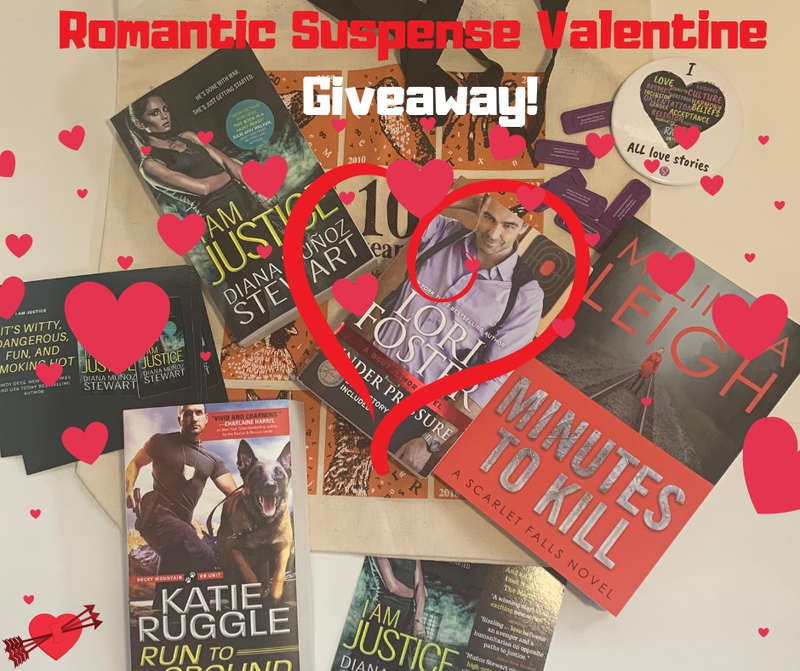 Remember, you can enter to win the Romantic Suspense Valentine’s Giveaway by signing up for my newsletter HERE! Nice to meet you and I love the excerpt! Signing up! Thanks! Glad you liked the excerpt!! Good luck! These all looked so good. Can’t wait to read them. Some of my favorite books and authors!! Glad you like them! Thanks for the chance!! I would love the chance to read your books!! You are a new to me author! Love finding them and their books. I loved the excerpt above and can’t wait to read it. Thanks for the awesome contest. Thanks!! Good luck in the contest!! Thanks for the opportunity to win these wonderful books.Good luck everyone. Thanks for stopping by, Pamela!! Thank you for entering! And stopping by! I would live the opportunity to win. Me please? Would love to win this awesome giveaway!? Thanks for the chance.?? Perfect books to read before I go to sleep. Would love to win these! Some of my favorite books and authors! Thanks for stopping by! Thanks for chance for this giveaway!! I really appreciate the consideration! Thank you! Great prize, love to win this. I’ll be doing more giveaways throughout the year! Good luck on this one! Wishing you luck! I’ll be doing more giveaways, so make sure to stop by again! Joining your newsletter. Thanks for the chance. You’re welcome! Thanks for joining and stopping by! What a lovely way to introduce these books and authors. Thank you! I love new authors too! Thanks for stopping by! You’re welcome! Thanks so much for stopping by my blog! I’m mostly entering for the books, I love to read. Thanks for the amazing opportunity. I love to read too. Good luck! Thanks so much for the invite to sign up for your contest!I hope I win! This would be so exciting,i love to read although i havent read in a while,these books look really interesting thanks so much for the chance? Thanks for the great opportunity. PS, the book sounds excellent. These all sound so good, that I want to read all of them. Thank you for the opportunity! Thanks for stopping by! My first newsletter will be out on the 15th! Thanks for the opportunity to win this great package.I love reading & usually read 3 or 4 books a month from my local library. Awesome giveaway! Thank you for the opportunity! I signed up for the newsletter. Wow what an awesome Giveaway, would love to win! If you signed up for my newsletter, you’re automatically entered for my March contest. And for all the contests I run this year–as long as you stay a subscriber. Good luck! Received my books and I the goodies in the mail today from the Valentines package giveaway. Thanks for everything. I’m very excited. Already started reading one of the books. Hooray!! I’m so glad. Thanks for entering! !